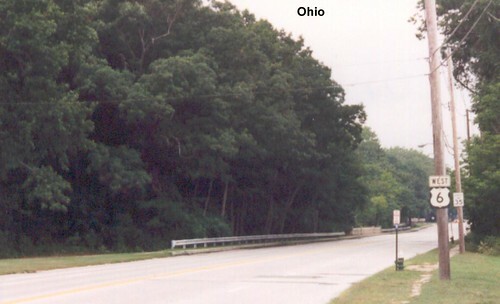 The Ohio landscape was mostly flat compared to Pennsylvania. 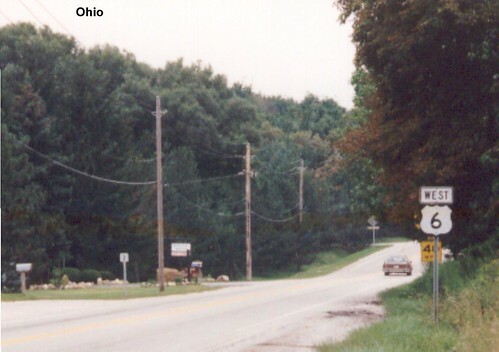 Two-lane US 6 in Geauga County. 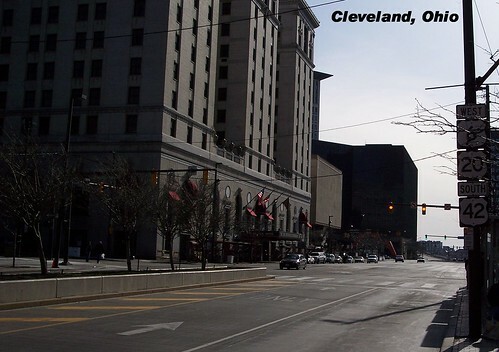 US 6 passes through downtown Cleveland. On my first trip on US 6 I came through here early on a Sunday morning. 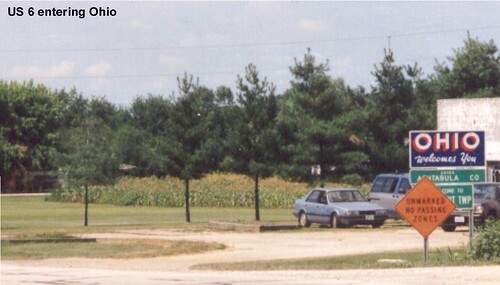 These photos were taken on my US 42 trip however. 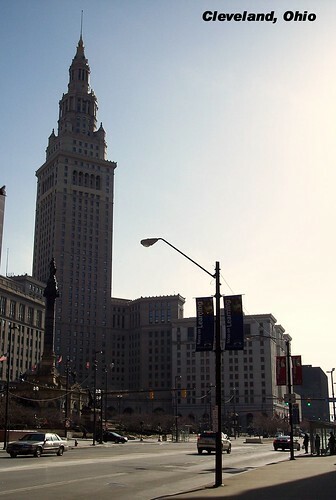 Crossing the Cuyahoga River on the Detroit-Superior Bridge. This bridge has been reconfigured a bit and this lane is now a walkway. 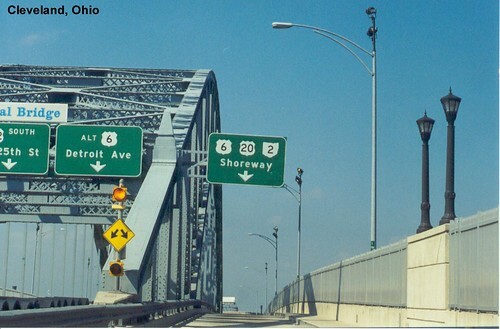 A short freeway section of US 6 in Cleveland. 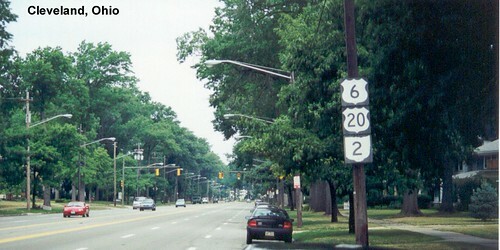 US 6 is a wide boulevard in Lakewood, west of Cleveland. US 6 is paralleled by I-80, I-90, and OH-2 as it continues west, leaving it to serve mostly local traffic. 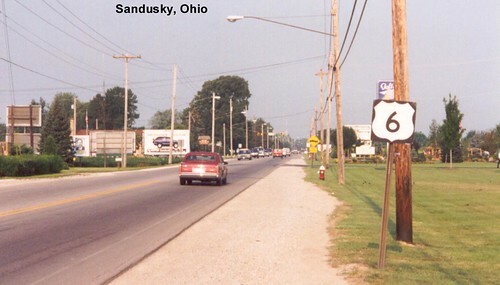 US 6 continues west just below Lake Erie. 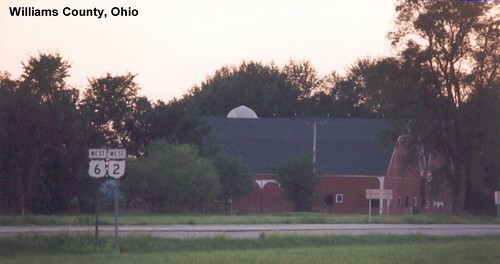 Old barns in a field along US 6. We see more farms as we continue the journey west toward Indiana. 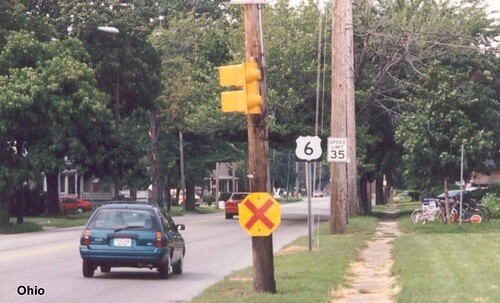 In Williams County US 6 is multiplexed with OH-2.